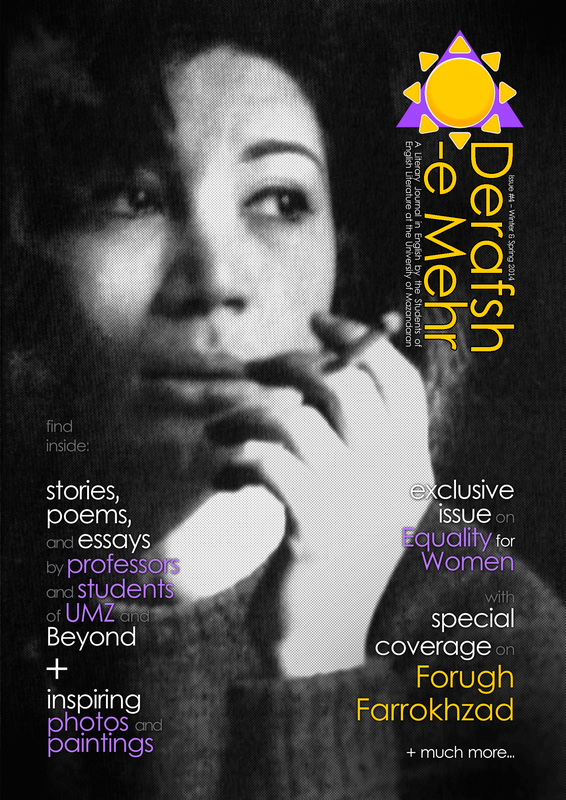 We are glad to announce the publication of Winter-Spring issue of Derafsh-e Mehr. There are limited printed copies available for our readers in Iran, but others (as well as those Iranians who prefer the electronic version) can download the electronic version for free on our weblog. The digital version is not available right now, but it is going to be ready in one or two days. It will be placed on the weblog as soon as it is ready. This is supposedly the last issue of Derafsh-e Mehr being published at the University of Mazandaran, because the current members of the editorial board are going to be graduated this semester (hopefully!). We are hopeful that other students will continue our way. But our works is not done yet; we will publish our future works on our weblog and our Facebook page. So, if you still like to read about Derafsh-e Mehr, don’t forget to visit us. You can also join our Facebook group if you like, you can share whatever you like regarding literature on our group (find the addresses on “About US” page). This entry was posted on Sunday, June 1st, 2014 at 11:00 PM	and tagged with Issue #4, Winter-Spring 2014 and posted in Issue Winter-Spring 2014, News. You can follow any responses to this entry through the RSS 2.0 feed. « Publication Date: June 1!